We would all love a home that reflects our personality – or rather, the collective personality of those that live there. When we surround ourselves with those things that make us truly unique, we become more at one with our environment and the home becomes our sanctuary. A place we can truly relax and be ourselves. But how do you add more character to your home to allow it to be an expression of what your family is all about? Well, here at Graham & Brown, we want to help you to achieve this. And using wallpaper with a dash of personality is a fantastic way to capture a little bit of that uniqueness that makes you, well, YOU! Check out our fun list of wallpapers that capture the essence of your family’s personality below! Unapologetically unconventional, if your family loves to break the rules (with a wink and a smile) then you’ll adore our Eccentric wallpaper. With everything that makes our country a bit more fun, we’ve gathered together all those things we love about Britain into one surprisingly stylish monochrome wallpaper. 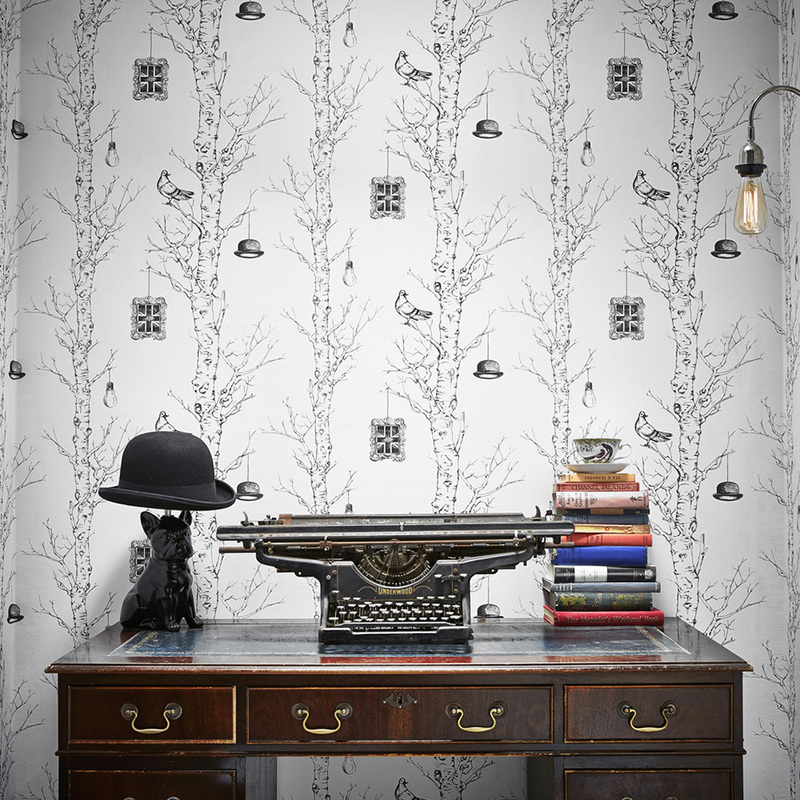 If you love a bit of quirky style, this wallpaper is sure to fit right in! Is your family more at home in warmer climates or strolling along the beach in your largest sunnies? 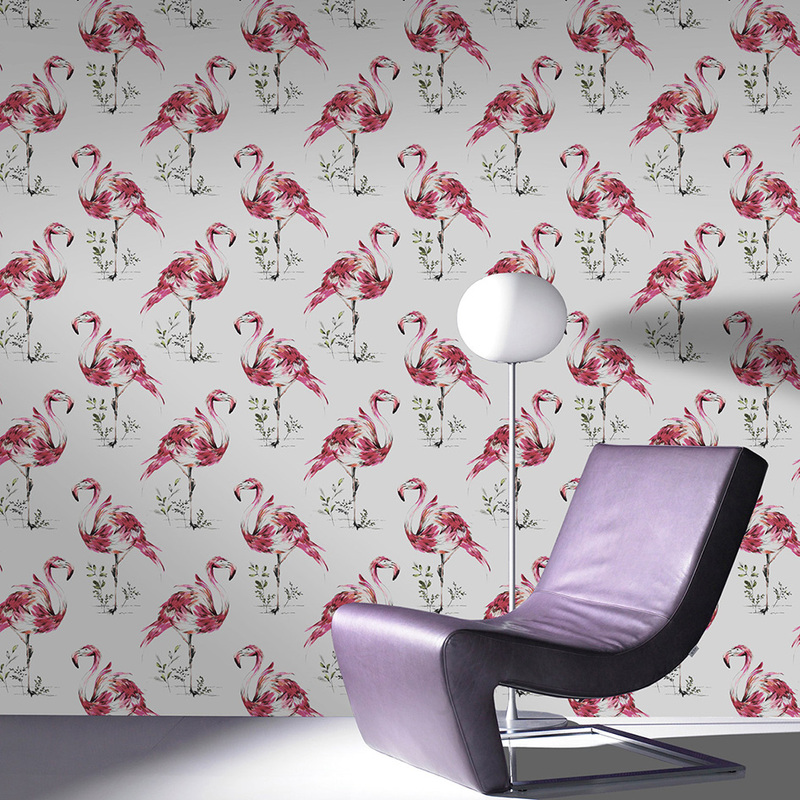 Our Flamingo wallpaper will bring with it a bit of sunshine – think Palm Springs or Miami Beach style, a huge trend for 2016! No doubt it will remind you of the best holidays – even if it is raining again! Your family never takes itself too seriously and you often find yourself in stitches around the dinner table. 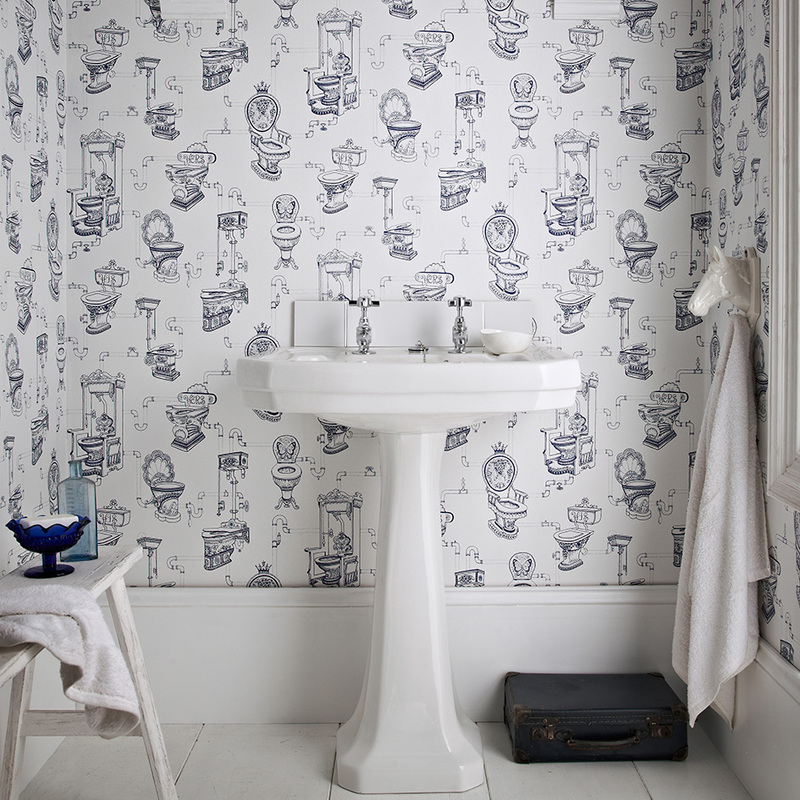 Our fun Loo Loo wallpaper could be the perfect addition to your space. This whimsical pattern will bring a smile to your faces because life is too short to be so serious, right? 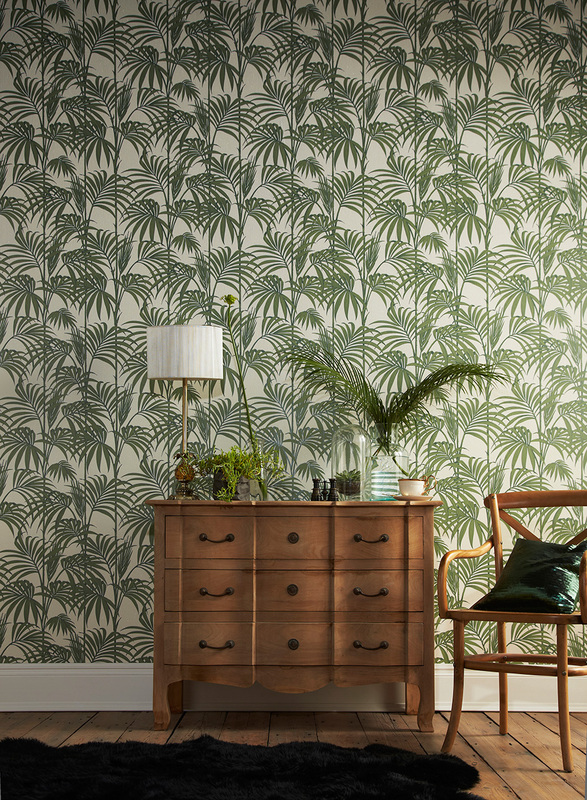 If you adore a bit of an urban jungle in your home or your family can’t get enough of the great outdoors, then this palm inspired wallpaper can be just the ticket to your botanist style. Surrounding yourself with lush greenery creates the perfect backdrop to nature-loving style. Your older property has wonderful bones and your family traditions run deep – so why not reflect that in your wallpaper choice? Our Melody Duck Egg wallpaper gives a contemporary twist on an old world design that would marry perfectly with heritage style. You never shy away from a bit of glam and sparkle and your family not only loves you for it, they embrace it themselves! 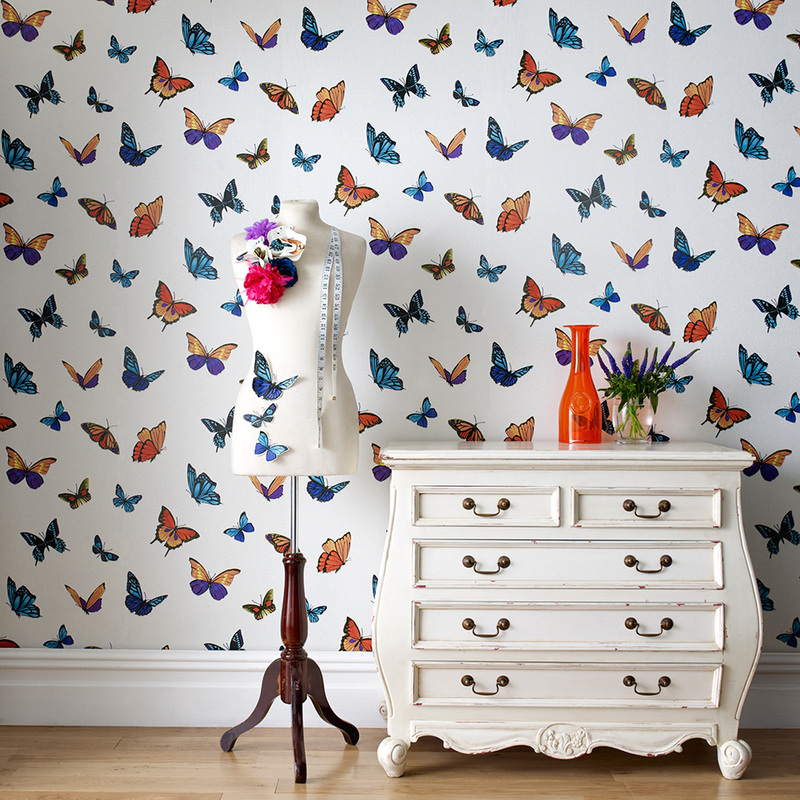 This whimsical Flutterby wallpaper covered in butterflies in flight has a reflective sparkly background that will bring a bit of shimmer to any space and is certain to bring a smile to your face too. We have over 1000 different wallpaper designs to match your family’s unique personality so finding your best fit couldn’t be easier. Why not check them all out here?